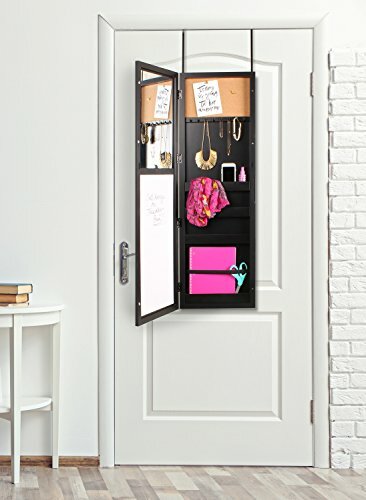 If space is a problem in your room, but you still need to find a way to organize your permanently increasing collection of jewelry, accessories, trinkets, valuables, cosmetic items and others alike, then the Over The Door Jewelry Armoires are what you need. They are versatile furniture pieces to add to your room, as they combine functionality and style. 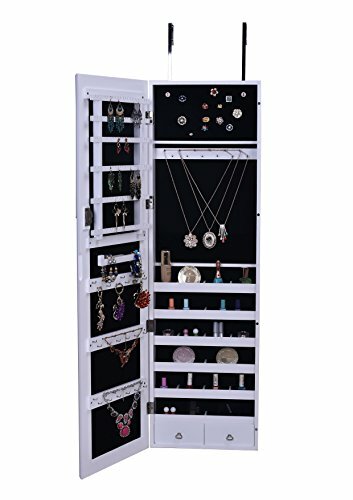 These over the door jewelry armoires are truly helpful for organizing your beloved necklaces, bracelets, earrings, rings, watches, scarves, make-up tools, perfumes and much more. In addition to their functionality, they are also great for completing your room’s décor. Besides, they take less storage space, so you don’t need to worry about occupying your room’s space. 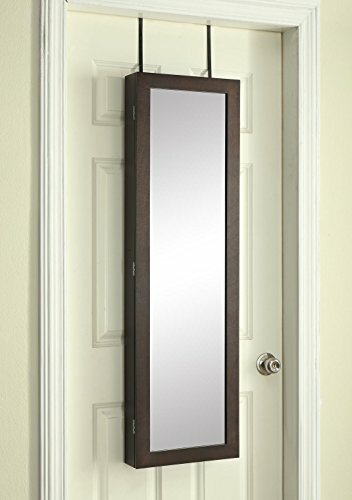 The over the door jewelry armoires are easy to install and they usually come with all of their assembly parts included. They vary in size, shape, color, materials used and features. Hence, you can browse through our selection to check out the offer and see which of the products are ready to satisfy your preferences in matters of style, and to cater to your specific needs in matters of space and features. Some of the common features that you’ll find in most of these jewelry armoires is that they are meant to be mounted on the back of the door, they have an interior where you can organize your jewelry and accessories, and they feature a mirrored door. In our selection, you will find various models of over the door jewelry armoires. You can choose depending on the options that you consider most important. Depending on your preferences, you can choose armoires made from wood, aluminum, or plastic. Other options you can consider include the size, shape, color, and features. The interior also varies depending on the model you choose.